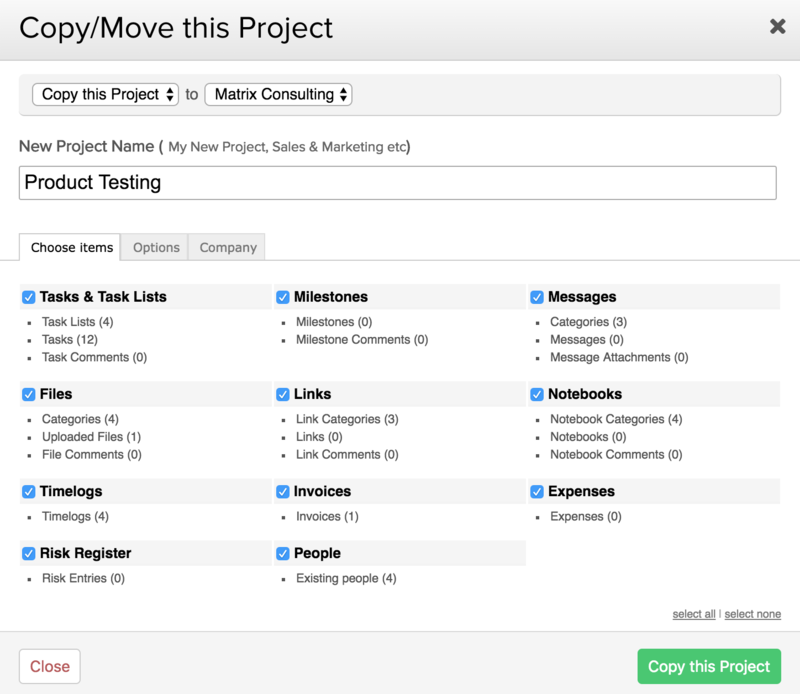 Within Teamwork Projects, you can copy any project that has already been archived. Copying an archived project is helpful as you can use an already completed one as a template going forward. To copy an archived project, go to the Projects area to the top of your site. From the Projects area, select the Archived tab. 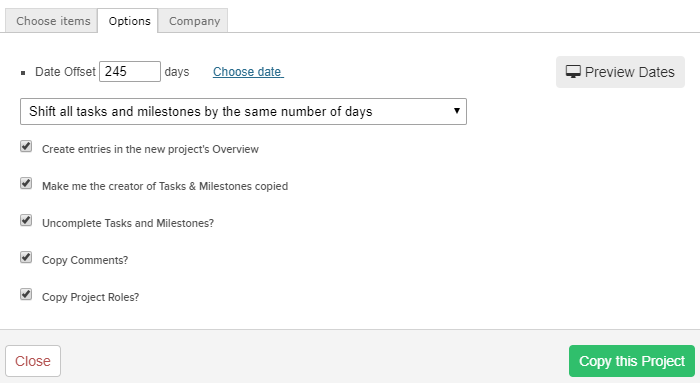 Click the three dots to the left of the project name and select the Manage Project tab of the pop up modal. Here, you will be able to choose Copy/Move. 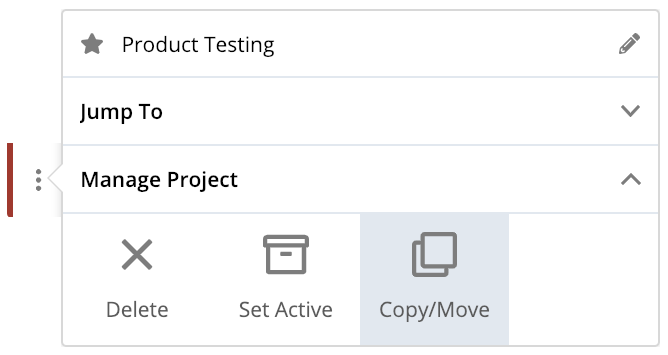 When you choose to copy, you will have the option to select which areas of the project you wish to copy. There are further options available in the Options tab. You can also choose which company you wish to copy the project to. Once you have selected all the applicable options, click Copy this Project. When the copying is complete, the copy will appear in your list of active projects. Note: You will only be able to copy a project if you have not met the active projects limit for your Teamwork Projects plan.